If you spend time on platforms like Medium, you’ve probably noticed a growing cohort of business leaders, bloggers and analysts putting a lot of thought into "optimal thinking." 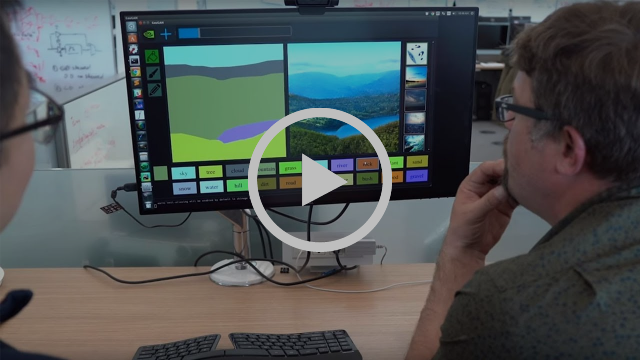 Thanks to AI and machine learning, we now have unprecedented ways of understanding our environment, considering new solutions and putting them to work. As bloggers like Shane Parrish regularly point out, the ability to apply intelligence for better decision making requires relevant mental models. The more models you have—meaning the bigger your toolbox — the more likely you are to see new sources of opportunity. Consider the historical notion of strategy in a communications context — it’s primarily focused on consumer behavior and the media trends brands need to account for as campaigns are conceived. While still deeply relevant, this view limits potential of how value can be be created through other means. General Intelligence — Provides a baseline understanding of a situation. It’s foundational, but isn’t actionable on its own (a common challenge with big data… a lot of information but not a clear picture of what to do with it). Consumer Intelligence —Brings to life perspective on customer behavior, sentiment, aspirations and more. Its importance in the advertising process has grown over time, classified as “account planning” in agency circles (you’ll find Cannes Grand Prix winners are born of a perspective-altering insight. Working Intelligence—Here, relentless testing is used to optimize engagement —applying proven vs. notional ways to deliver value. Netflix is among the best known business cases and offers regular public updates on its experimentation efforts. Business Intelligence — The ultimate business driver, it challenges conventional wisdom on business models and underlying processes. This is what leads to 10x breakthroughs in value and extraordinary financial valuations (think new unicorns like Peloton for fitness, Glossier for retail, Robinhood for fintech... and you get the gist). In an ideal scenario, optimal thinking incorporates all four applications — but warrants a framework to consider immediate avenues as well as long-term potential. It's clear from this week's links that underlying systems are largely in flux, allowing for plenty of opportunity to put insights to work. As part of a broader movement away from traditional social media, many people have turned to more private ways of sharing information. The inbox is becoming a more attractive medium than the newsfeed, as a more direct way to reach an audience that doesn't require fighting an algorithm. For years, Silicon Valley has promised artificial intelligence as a long-term solution for both blocking extremist content and improving working conditions for moderators, who view and block these videos manually. But the ability to train algorithms to accurately recognize extreme violence without anyone having to flag it in the first place is still very far off—even the most advanced AI can’t distinguish between a real shooting and a movie scene. Instagram is a treasure trove of user data. When combined with its pretty, advertising-friendly aesthetics, it does an unnervingly good job of getting past the defenses of even its savviest users. Data has allowed Instagram to go beyond pushing products, and act as a digital personal shopper we're free to command. A rising YouTube format—videos of kids unboxing toys and reviewing them — has created a new category of child influencers. These videos have changed how manufacturers think about packaging, as companies now create toys with YouTube in mind, and earmark large pockets of cash to pay toy influencers for reviews. ‘The Capitalists Are Here!’ Are we in a Podcast Bubble? What will podcasting look like in five years? Will listeners be willing to dole out monthly payments as they do for streaming video? Will advertising rates, some of the highest in media, crash? Will audiences grow fast enough? These are the questions investors are asking to determine if the podcast gold rush mentality will prove worthy of investment—and if it can be a credible platform for advertisers. A data engineer created a 100% automated Instagram account to earn free meals at restaurants. His experiment calls into question the ethics of posing as a real influencer, and of bot-generated photos reposted without photographers’ permission. Human influencers are also wary of how automation will affect their profession. Pick a genre, a “mood,” and a duration, and boom—Jukedeck AI churns out a free composition for your personal project or, if you pay a fee, for commercial use. The songs are predictable, but good enough for tutorial videos or elevator music. But as AI capabilities improve, it’s probable that the songs will become good enough that we’d opt to listen to them over human-produced content. Any place that can fit a screen (classrooms, hospitals, airports, restaurants) can cut costs using intelligence to replace human tasks. As screens and intelligence become ubiquitous, people are willing to pay more for human contact and experiences. Morphin created an app that, with just one selfie, allows you to insert yourself into popular GIFs and movie scenes. In beta, Morphin attracted 50,000+ testers, who created 1 million+ unique GIFs and generated widespread WTF moments across Twitter. They believe this could be a whole new format for storytelling set within the Synthetic Media landscape.